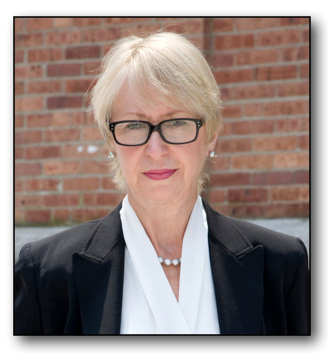 Dr. Joan Johnson-Freese has been a member of the faculty of the Naval War College since 2002. Previously, she was on the faculty at the Asia Pacific Center for Security Studies in Honolulu, HI; the Air War College in Montgomery, AL; and Director of the Center for Space Policy & Law at the University of Central Florida. Within international and national security studies, Dr. Johnson-Freese focuses on globalization and technology programs and policies generally, and space programs and policies specifically, including issues relating to technology transfer, missile defense, and space security. Dr. Johnson-Freese has testified before Congress on several occasions regarding Chinese space activities and space security issues. She is on the editorial board of China Security, a member of the International Academy of Astronautics, the International Institute for Strategic Studies, the International Space University, served on the Space Studies Board of the National Academy of Sciences, and the Lyles Commission to examine the future of the U.S. civil space program, and an Adjunct Professor at the Watson Institute, Brown University. In addition to teaching courses on Security Studies at the Naval War College, she also teaches courses on Globalization & Terrorism and Space & Security at Harvard. She has traveled extensively in support of the Naval War College PME engagement program, making presentations and conducting curriculum discussions in Cameroon, Ethiopia, Colombia, Mexico, Kenya, South Africa, Brazil, Uruguay, Argentina and the Dominican Republic. Recent books include Heavenly Ambitions: America’s Quest to Dominate Space, (University of Pennsylvania Press, 2009), and Space as a Strategic Asset, (Columbia University Press, 2007). Prior books include: The Chinese Space Program: A Mystery Within a Maze (Krieger Publishing, 1998); Space: The Dormant Frontier, Changing the Space Paradigm for the 21st Century, (Praeger Publishers, 1997); The Prestige Trap: A Comparative Study of the US, European and Japanese Space Programs, with Roger Handberg, (Kendall-Hunt, 1994);Over the Pacific: Japanese Space Policy Into the 21st Century, (Kendall-Hunt, 1993); andChanging Patterns of International Cooperation in Space, (Krieger Publishing, 1990). She has also published over 80 journal articles relating to international space cooperation and competition issues. Dr. Richard Downes, an expert on Brazil-U.S. relations and a Bangor native, has been an analyst and practitioner of Brazil-US relations through military, academic and business pursuits for more than three decades. He is formerly Associate Dean of Academics at the Center for Hemispheric Defense Studies of the National Defense University and professor of history at the USAF Academy. He is now an independent researcher focusing on Brazil based near Austin, Texas. He will address “What Brazil’s Emergence as a Global Player Means for the United States” during a luncheon presentation. 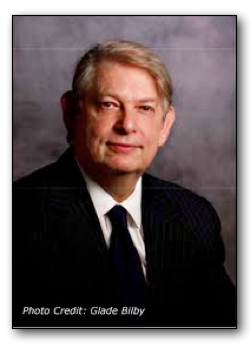 Dr. Downes’ experience with Brazil began with a year’s residence near Rio de Janeiro in 1982 conducting research for his doctoral dissertation regarding ties related to technology transfer between the United States and Brazil during the early twentieth century. He subsequently served for four years as the Brazil desk officer for plans and policy on the Joint Chiefs of Staff during the chairmanships of Admiral William Crowe and General Colin Powell and prepared recommendations on national policy issues related to Brazil. Subsequently, in the private sector, he supported the expansion of wireless telecommunications services in Brazil as the Latin American director for a leading industry trade association, 3G Americas. He also was a persistent advocate for standardization of Brazilian wireless services in trade media and conferences. As an academic, he has published a leading study on how U.S. business became the pre-eminent foreign presence in the Brazilian economy and is the editor of a volume on the impeachment for Brazilian president Fernando Collor de Mello that was also published in Brazil by the prestigious Getúlio Vargas Foundation. He was a keynote speaker on “Defense Technology Transfer: Programmatic and Practical Issues” at the 2009 Defense Seminar of the Latin America Aerospace Conference in Rio de Janeiro. His latest study, “Trust, Engagement, and Technology Transfer: Underpinnings for U.S.-Brazil Defense Cooperation,” was published in August of this year by the Institute for National Strategic Studies of the National Defense University. He is currently preparing for publication an expanded version of his doctoral thesis to be entitled “Precursors of Economic Globalization: The United States and Brazil’s Agriculture, 1808-1995,” also focusing on technology transfer between the United States and Brazil. The Mid-Coast Forum on Foreign Relations is pleased to sponsor a foreign policy debate between the three principal candidates for Maine’s second senatorial seat. All three candidates accepted our invitation and agreed in July to participate, but just 10 days before the event, Republican candidate,Charlie Summers reneged. Cynthia Dill and Angus King have respected their July commitment and now agreed to go ahead with a two-person debate. The debate will be moderated by Forum President, Mac Deford. Please plan on joining us for the live event. The costs of this event will be covered by the Mid-Coast Forum’s Picker Fund, a generous bequest by Harvey Picker and the Branta Foundation. 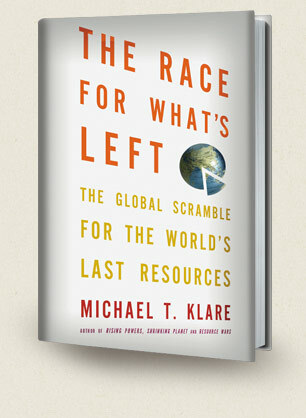 Michael Klare is the Five College professor of peace and world security studies at Hampshire College, and director of the Five College Program in Peace and World Security Studies (PAWSS). He holds a B.A. and M.A. from Columbia University and a Ph.D. from the Graduate School of the Union Institute. He has written widely on U.S. military policy, international peace and security affairs, the global arms trade, and global resource politics. Dr. Klare’s most recent book is entitledThe Race for What’s Left: The Global Struggle for the World’s Last Resources, an exploration of the haunting reality of what may be the planet’s final “gold rush,” with governments and corporations seeking to secure dwindling supplies of vital natural resources. Click here to read his Rolling Stone interview about the book. His books include American Arms Supermarket (1984), Low-Intensity Warfare (1988),Peace and World Security Studies: A Curriculum Guide (Fifth Edition, 1989; Sixth Edition, 1994), World Security: Challenges for a New Century (First Edition, 1991; Second Edition, 1994; Third Edition, 1998), Rogue States and Nuclear Outlaws(1995), Light Weapons and Civil Conflict (1999), Resource Wars (2001), and Blood and Oil (2004). His articles have appeared in many journals, including Arms Control Today, Bulletin of the Atomic Scientists, Current History, Foreign Affairs, Harper’s, The Nation, Scientific American, and Technology Review. 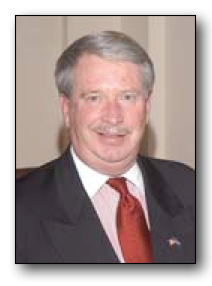 He serves on the board of the Arms Control Association and advises other organizations in the field. 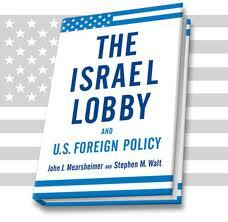 Stephen M. Walt is the Robert and Renee Belfer Professsor of International Affairs at Harvard’s Kennedy School. He previously taught at Princeton University and the University of Chicago, where he served as Master of the Social Science Collegiate Division and Deputy Dean ofSocial Sciences. He has been a Resident Associateof the Carnegie Endowment for Peace and a Guest Scholar at the Brookings Institution, and he has also served as a consultant for the Institute of Defense Analyses, the Center for Naval Analyses, and the National Defense University. 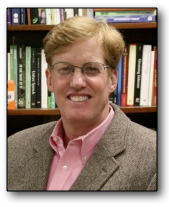 He presently serves on the editorial boards of Foreign Policy, Security Studies, International Relations,and Journal of Cold War Studies, and he also serves as Co-Editor of the Cornell Studies in Security Affairs, published by Cornell University Press. 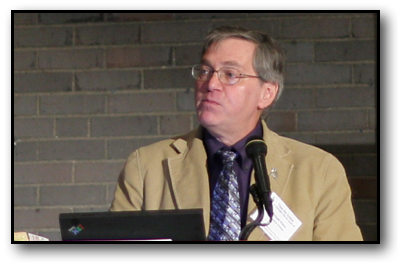 Additionally, he was elected as a Fellow in the American Academy of Arts and Sciences in May 2005. Professor Walt is the author of The Origins of Alliances (1987), which received the 1988 Edgar S. Furniss NationalSecurity Book Award. 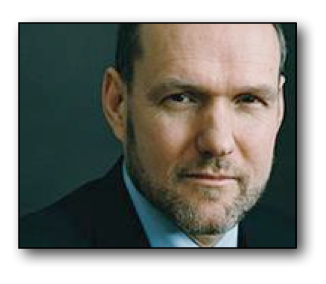 He is also the author of Revolution and War (1996), Taming American Power: The Global Response to U.S. Primacy (2005), and, with co-author J.J. Mearsheimer, The Israel Lobby and U.S. Foreign Policy (2007). Topic: A Policy of Regime Change in Syria? 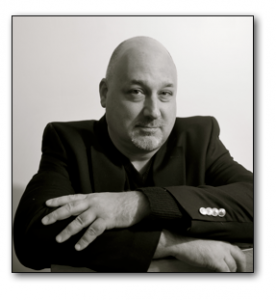 James P Farwell is an expert in strategic communication and information operations who has advised the US Special Operations Command, the US Strategic Command and the Department of Defense on counterterrorism and counterinsurgency in the Middle East, North Africa and Pakistan. He has written articles for the International Institute for Strategic Studies, the Middle East Institute, Defence IQ, and the IO Journal. He is an attorney with degrees from Tulane and the University of Cambridge, and also a political consultant who has worked nationally and internationally at the presidential level. He lives in New Orleans. The assault on Osama bin Laden spotlighted Pakistan’s unpredictable political dynamics, in which betrayal, paranoia and conspiracy feature prominently. Understanding Pakistani politics is crucial to working with this challenging American ally. 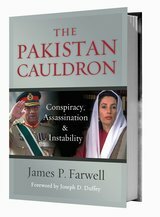 As Benazir Bhutto often stated, there is “always the story behind the story,” and James Farwell tells it clearly in The Pakistan Cauldron. 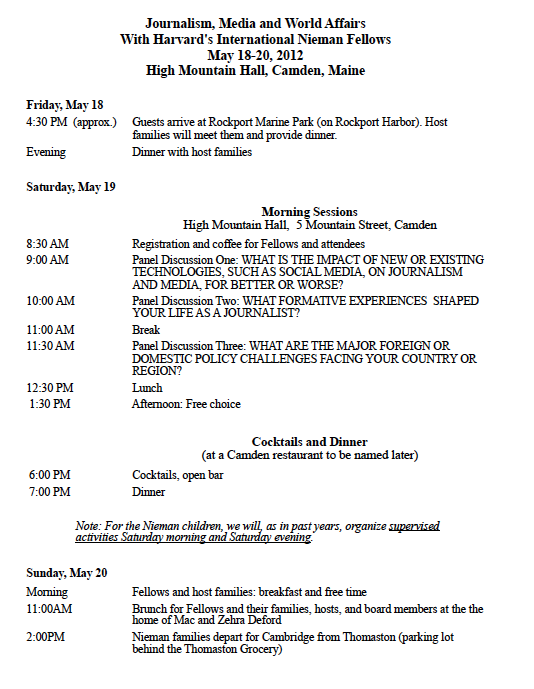 PLEASE NOTE: The April 19 luncheon is on a Thursday, not Monday, and it will begin at 11:15AM to accommodate our speaker’s travel schedule. 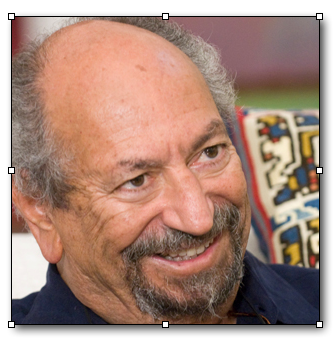 Sa’ad Eddin Ibrahim is an Egyptian American sociologist and author. He is one of Egypt’s leading human rights and democracy activists, and a strong critic of former Egyptian presidentHosni Mubarak. Ibrahim is credited for playing a leading role in the revival of Egypt’s contemporary research-based civil society movement. For most of his professional career Saad Eddin Ibrahim was a professor of sociology at the American University in Cairo. He is the founder of both theIbn Khaldun Center for Development Studiesin Cairo and the Arab Organization for Human Rights. He is married to Barbara Lethem Ibrahim, director of the Gerhart Center for Civic Engagement and Philanthropy in Cairo. 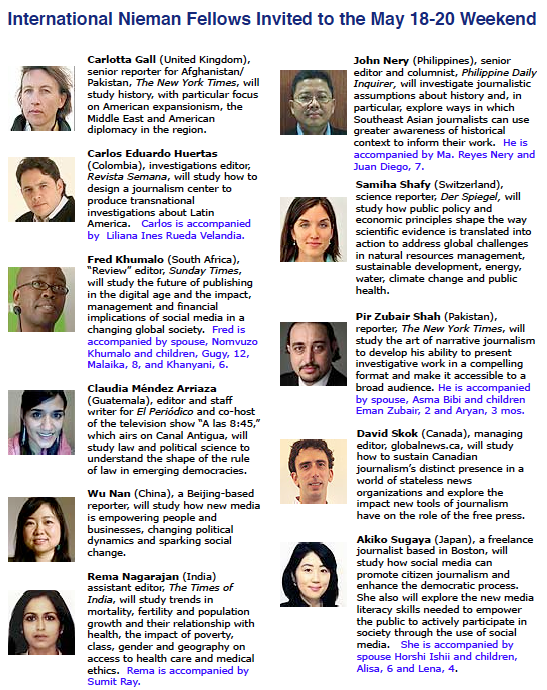 He is on the Board of Advisors to the Project on Middle East Democracy. The Ibrahims have two children, Randa and Amir Ibrahim. Randa has two kids Lara and Seif, and Amir has Adam and Gebriel. Well before his confrontations with the Egyptian government in the early 2000s, Ibrahim had become a controversial figure in Egypt. He reversed his earlier criticism of Anwar Sadat for his peace initiative with Israel. He gained the respect of Egypt’s human rights and civil society community for championing different causes, including Copts, Bahá’ís. and other minorities at a time of rising sectarian tensions. Ibrahim was arrested, imprisoned and prosecuted in 2000 for using European Union funds for election monitoring, and for allegedly defaming Egypt’s image abroad. He was sentenced to seven years in prison. His defense team countered that the real motives behind the government’s prosecution of Ibrahim and his assistants was his outspoken criticism of President Hosni Mubarak and his administration. He was tried twice on the same charges in State Security Courts, winning each time on appeal. During a third trial before the highest civil court in 2003, he was cleared of all charges and released, but not before a storm of international protest had put the Mubarak regime on the defensive. As an independent-minded intellectual, Ibrahim has supported fair elections when they were viewed as incompatible with Egyptian politics, promoted international democratic alliances, and accepted NGO funding from any source that shares peaceful and democratic values, including those in the US. He has recently been under attack in the official press for calling on the U.S. Congress to condition its military aid to Egypt on improvements in the country’s human rights record and the freeing of another political prisoner, Ayman Nour. 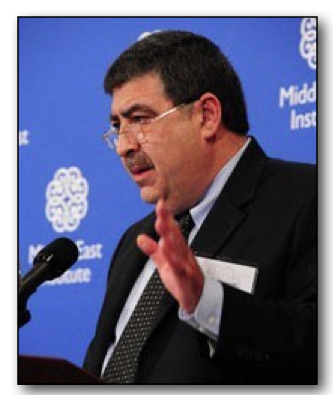 In 2006 Ibrahim was awarded the Ion Ratiu Democracy Lecture Prize at the Woodrow Wilson International Center for Scholars, where he previously had been a public policy scholar. He is currently a Board member of the Arab Democracy Foundation. 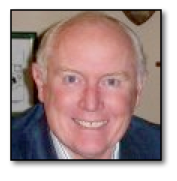 F. William “Bill” Smullen is director of the Maxwell School’s National Security Studies program at Syracuse University, an integrated course of academic and practical instruction for military and civilian officials. The program participants have the benefit of interaction with senior government executives and leaders from business, industry, Congress, and the media. Until 2002, Smullen was chief of staff to Secretary of State Colin Powell, with whom he had worked for nearly 13 years, first as special assistant when Powell was Chairman of the Joint Chiefs of Staff and then later as Powell’s chief of staff at America’s Promise-The Alliance for Youth, a nonprofit organization chaired by Powell. Smullen also served as special assistant to Joint Chiefs Chairman Admiral William Crowe, Jr. Smullen was a professional soldier for 30 years, retiring from the Army in 1993 as a Colonel. He earned a B.A. in business and economics from the University of Maine in 1962 and an M.A. in public relations from Syracuse in 1974. 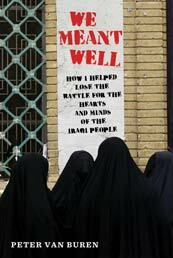 Darkly funny while deadly serious, We Meant Well is a tragicomic voyage of ineptitude and corruption that leaves its writer–and readers–appalled and disillusioned but wiser. Peter’s commentary has been featured on TomDispatch, Salon, Huffington Post, The Nation, American ConservativeMagazine, Mother Jones, Michael Moore.com, Le Monde, Daily Kos, Middle East Online, Guernica and others. 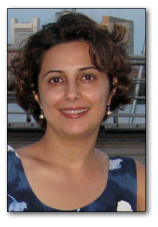 Nazila Fathi reported for the New York Times for over a decade from Tehran until June 2009 when she was forced to leave the country because of direct threats her. Before that, she worked for Agence France Presse, the Time magazine, and has written for numerous publications including the New York Review of Books and Foreign Policy. She translated a book by the Noble peace prize laureate, Shirin Ebadi, called “The History and Documentation of Human Rights in Iran,” into English in 2001.She was a Nieman fellow at Harvard in 2011 and will be a Shorenstein fellow at Harvard Kennedy School of Government in 2012.